A naturally beautiful country with plenty of history and culture, the Netherlands has so much to offer. Never thought about visiting the Netherlands? Holland boasts quite a few claims to fame, with one of their most popular being their tulips. During the months of spring, certain parts of the country are completely transformed into a sea of colorful flowers, stretching out as far as the eye can see. Even if you aren’t someone who usually appreciates florals, this is a sight that will take everyone’s breath away. Where about in the Netherlands should you go for the best tulip views? 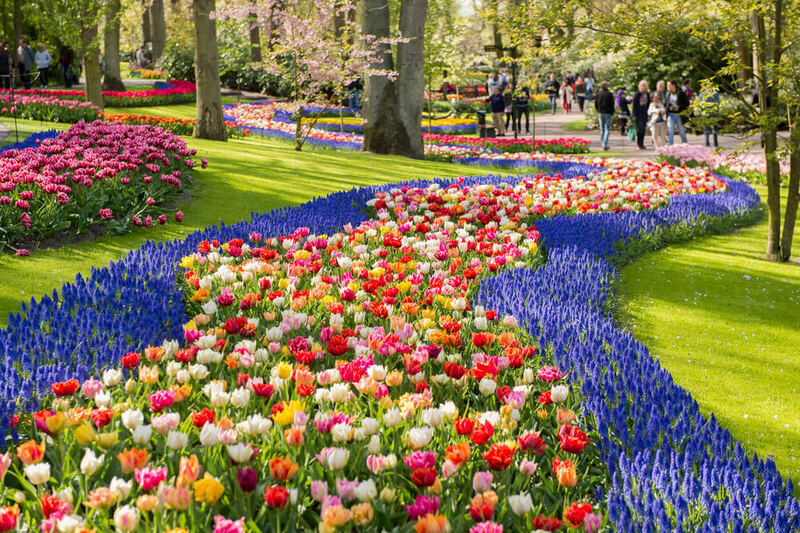 Without a doubt, the answer is Keukenhof. This is a 32-hectare garden where more than seven million tulip bulbs burst into life each year. These are joined by daffodils, hyacinths and other colorful blossoms, making this the largest flower and tulip garden park in the world. The city that the Netherlands is most famous for is Amsterdam, and this in itself is a great reason to visit the country. While the capital city may be quite different from what the rest of the country has to offer, Amsterdam boasts a number of historical and cultural attractions that are well worth visiting. Wondering what you should make a priority when visiting Amsterdam? Many people do not realize that the Netherlands is home to some of the best beaches in all of Europe. Wide stretches of soft and clean white sand line large portions of the country’s coastline, with several outdoor activities taking place on these majestic beaches. Not only that, but beach life in the Netherlands is nothing without a strandpaviljoen. It’s a beach café, and is usually built right into the soaring sand dunes, or further out on the sand on stilts. The vibe at these cafés is shabby chic and sophisticated, with beachy furnishings decorating the interiors. 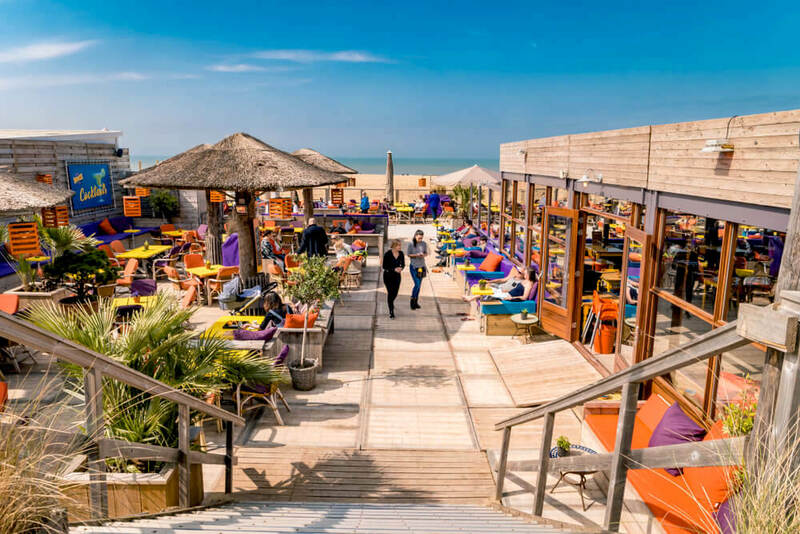 So, where are some of the best beaches to go to experience the beach culture of the Netherlands? If you enjoy city life but aren’t keen on a visit to Amsterdam, the next best city to visit in the Netherlands would be Leeuwarden. Because this city was designated the 2018 European Capital of Culture. Never heard of Leeuwarden before? This city is the capital of the Friesland province, which can be found in north-east Netherlands. As you can imagine, there are a number of different cultural sights and activities to take in here, from historic museums and churches to winding canals and repurposed buildings, and even a leaning tower that rivals that of Pisa. The tower can be climbed, and it is definitely worth doing so, as you will be rewarded with some of the most spectacular views of Leeuwarden and the surrounding areas. In a way, Leeuwarden offers a range of attractions similar to that of Amsterdam, but has a much more laidback charm, and also lacks the frustrating crowds that tend to flock Amsterdam. 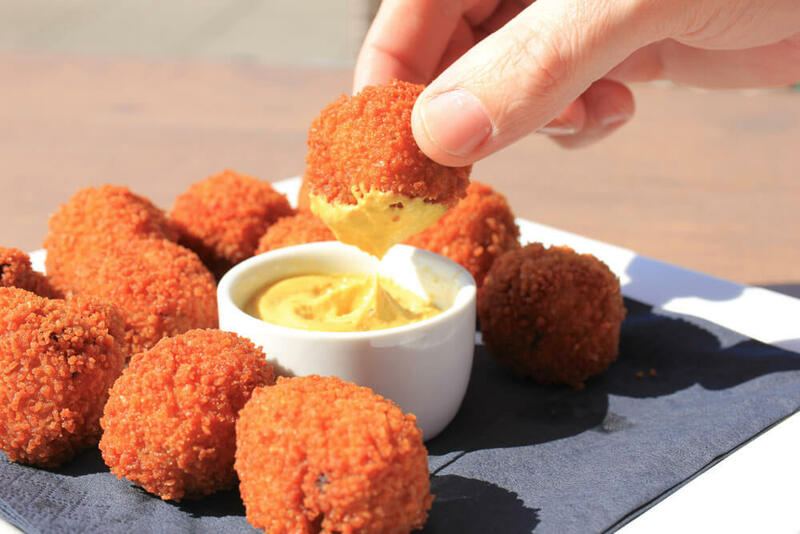 Dutch cuisine may not be quite as internationally famous as the foods from other countries around the world, but the tasty local foods are enough of a reason in themselves to visit the Netherlands. While Dutch cuisine is traditionally relatively simple, the 20th century brought change with it, evolving local dishes into more cosmopolitan versions. Everything from Edam to Gouda to Limburger comes from the Netherlands, and you will find cheese shops, markets and museums dotted throughout the country, with these being the best spots to learn more about, and try, the local cheeses. Now that you know which foods you need to try in the Netherlands, it is time to learn about the local craft beers that are perfect for washing those dishes down with. The craft beer industry in the Netherlands is thriving, with new independent breweries continuously popping up all over the country. Not only do these produce unique craft brews, but many of them also offer brewery tours, so that visitors can enjoy a behind-the-scenes peek into how the beers are made. These breweries truly are fascinating, with many beer aficionados planning trips to the country solely based around brewery visits and tastings. Wondering which breweries you should visit, along with which beers to try? While many people are tempted by the idea of cycling more, the thought of struggling to pedal a bike up a steep hill is usually enough to put them off. Not only is the entire country unbelievably flat, but the Dutch love to cycle, with a 30,000 km network of cycling paths criss-crossing around the country. The Netherlands boasts a fantastic road safety record, and the roads are well-maintained, making them a joy to ride. Wondering which area of the Netherlands is the best for cycling? Groningen is often referred to as the most bike-friendly city in the world, with a city center that pretty much completely bans cars. Alternatively, if you want to see some scenery while you ride, the 400-mile coastline of Zeeland will not disappoint. This province lies in southwest Netherlands, and is the spot at which three rivers (the Rhine, the Scheldt and the Meuse) converge with the sea, guaranteeing some dramatic views. 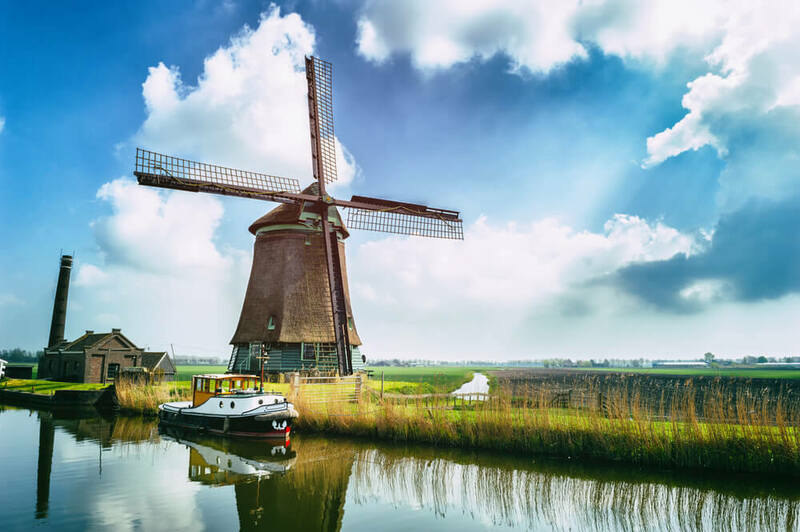 Windmills have served numerous purposes in the Netherlands over the years, and today they are a quintessential part of the country, with these traditional Dutch windmills being found nowhere else in the world. Wondering how many windmills there are in the Netherlands? An impressive 991, so you are likely to encounter some no matter where in the country you visit. While this may be the case, those who are particularly interested in windmills should pay a visit to Kinderdijk. This UNESCO World Heritage Site is the most famous group of windmills in the country, and will teach you so much about how the Netherlands are so vulnerable to flooding. Zaanse Schans is another place to go if you want to learn about the history of windmills. This museum and conservation area was the first industrial site in the world, and had 600 windmills doing everything from creating paper to building shelves. Want an even more unforgettable experience? Some windmills allow visitors to spend the night, giving you the opportunity to wake up to unparalleled views of the Dutch landscape. For those travelling with young children, it can often be difficult finding places to go that truly are child-friendly. Well, just about everywhere in the Netherlands is, making this a popular country to visit for families. There are multiple zoos and amusement parks around the country, but if you would like your kids to have a more educational experience, there are also several museums that they would love too. Give the Children’s Book Museum a try if you are in Hague, or the Nemo Science Museum in Amsterdam, both of which are especially popular with the younger ones. You have just about every accommodation option available, as you will rarely come across a hotel that has a “no kids” rule. You should also consider the costs of Netherlands which you can see here before going there. For those who would prefer to stay within nature, camping is also popular across the country among local families, with the Frisian Islands being a top camping spot. The Netherlands is a country with so much to offer, and this list barely even scratches the surface of what you will find when you visit. With everything from history and incredible scenery to culture and cosmopolitan cities, it is easy to see why this is a country that appeals to just about everybody out there.